The film is presented as a true story set during World War II. With the Nazi takeover of Europe under way deputy Reichsprotektor Reinhard Heydrich arrives in Prague and his underlings begin enforcing his authority in the towns and villages across the occupied country. 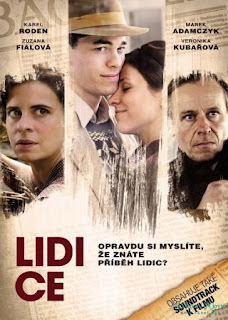 In Lidice, the film's main protagonist, František Šíma, is sent to prison following a family dispute that boils over resulting in an accidental death. During Šíma's incarceration one of the other villagers, Joe Fiala, strings along his mistress with lies about his bravery as a resistance fighter against the Germans. Heydrich is assassinated and during the Gestapo investigation that follows, a letter Fiala has written describing his supposed heroism comes to their attention. It leads to the total destruction of Lidice and the mass execution and deportations of its citizens. Throughout the atrocity, Sima remains in jail.